My personal apology to the people of Iraq and Saddam Hussain New music has been put up. One incomplete snippet and two whole songs so far. 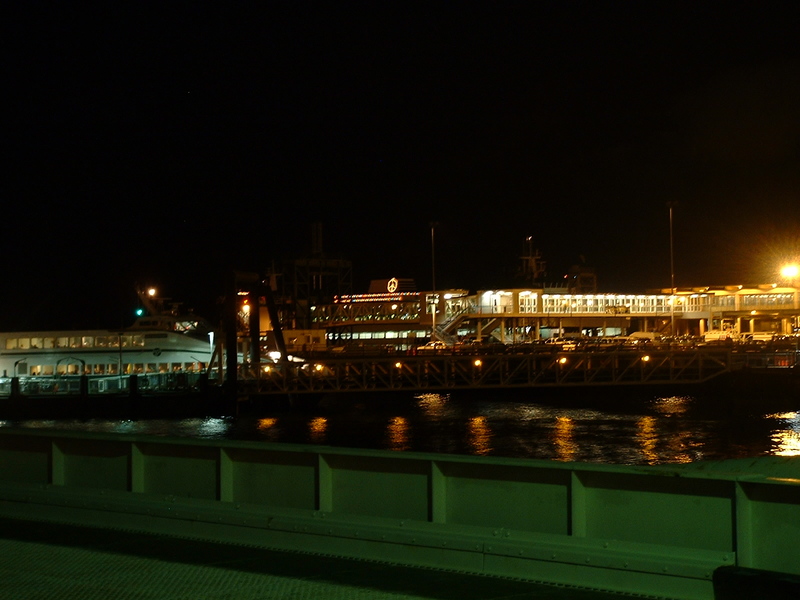 The Seattle Ferry System gets decked out for the season with a peace sign. Seattle does have some good points..
A priceless little bit of humor (well, it's only funny to us dot-communists). Little thought provoker on the current state of the government. Read this one. You'll be glad - er - sorry - er, I guarentee it will make you think. I finally fixed my link page to actually include only live and working web sites. Time for some Urbun Warfare Muhahahaha. And I've started collecting my letters to my mother. Or at least the more irate ones. ;-) By the way, I'd like to take this oppertunity to publicly thank my parents for (perhaps deliberately, perhaps inadvertently) allowing me to get a LOT of valuable life skills - and avoid being turned into a conformist mooing cow by spending too much time in the public education system. I complain about my latter years with them a lot, but actually I suspect that many of their decisions helped me to be who I am today, and for that I owe them. Another recent addition is my commentary about Tom Leykis. why are these lyrics here? We're gonna reap what we have sown Author's note - And we will. We better wake her up this time. And until her conscience has been found. Somehow my old web page doesn't seem as current in my life any more. I mean, a lot of things have happened since it was written. My thoughts on China, specifically a apology to all people of this nation for the horrendous mistake America made earlier, in which we accidentally bombed their embassy. Comments about the rather broken situation our government is in. Now, thanks to the wonders of modern technology, you can listen to me practice or record (some of the time). If I happen to be playing (and I usually do between 10 and midnight PST), just hit up this link and have windows media player or winamp installed. You low bandwidth suckas can always hit up this link instead. For those of you curious as to how to reach me: this email should be good for a long time. MSN fights the power. Aren't they pathetic? And isn't it great that we managed to scare them badly enough to put this on the _front page_? Let's not back off now. Send it 'round, we might actually be able to do some damage here. 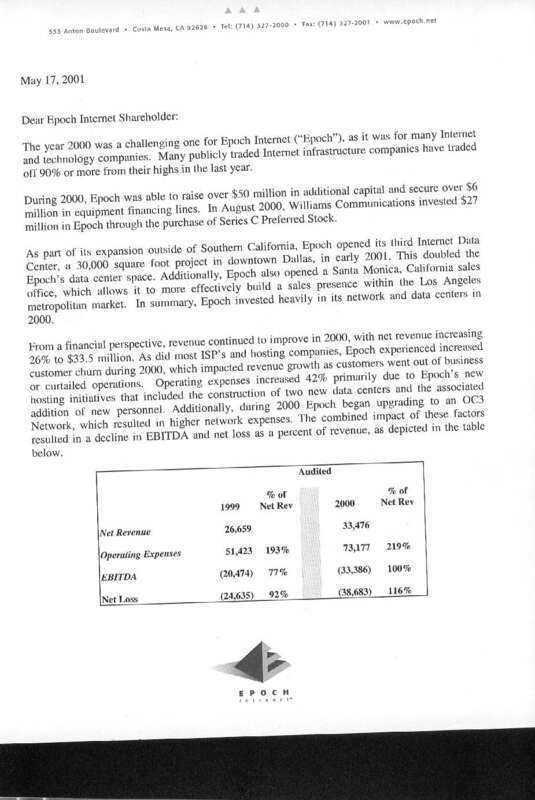 Check out these priceless scans of a letter from Epoch Internet: page one page two. 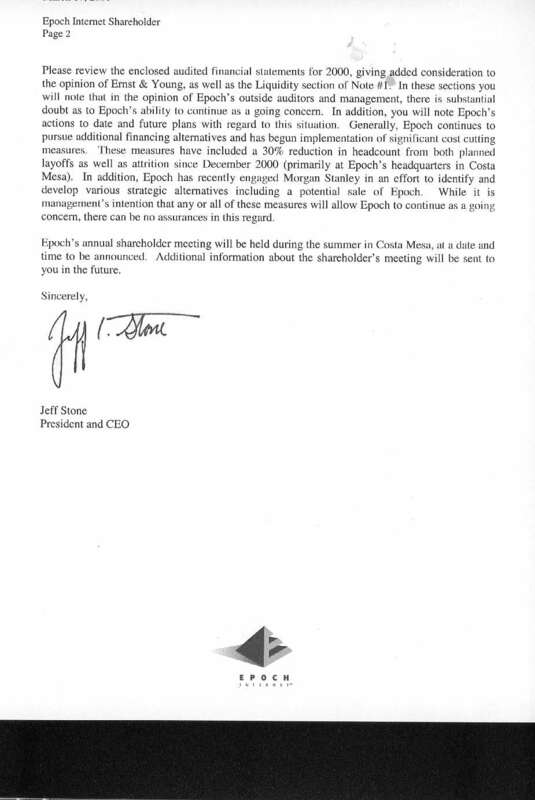 The truth comes out - no, we can't keep selling it for less than it costs and make it up in volume. think about this before you spam me.